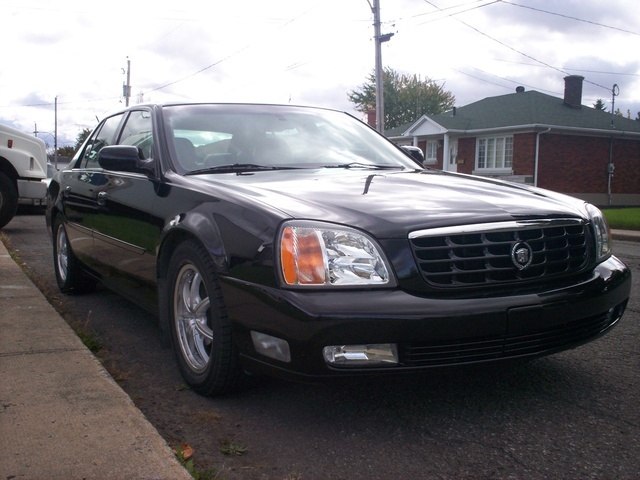 Have you driven a 2005 Cadillac DeVille? Displaying 1 - 10 of 16 2005 Cadillac DeVille reviews. Front Seats Ranked 2000 Chrysler Sebring worse. Would Buy Ranked 2000 Chrysler Sebring better. Front Seats Ranked 2005 Chrysler 300 worse. Back Seats Ranked 2005 Chrysler 300 worse. Nice — nice car to take a trip in. guzzles gas but that's expected. has a really nice ride, and very cold air. lots of room in her, with that cd player blasting away. plenty of room in the back seat and the trunk in as big as a frig. Good Ol' Bessy — Again, a large luxurious car that handles well on long road trips. Very good control in icy and snowy conditions. More than enough room to lug around 4 people. A little large sometimes for quick traffic maneuvering. But overall, a solid and good looking ride. Pros: Large and luxurious ride. Love it on long car trips. Cons: Very bulky. Tends to leak oil. It'snot A 78 Coupe Deville But It Will Do! — I love the car I want to keep it for as long as I can and maybe one day this model will qualify for a show. we'll see. It's not as bad on gas as people think. In my opinion there is nothing like a deville! as far as maintenance so far It's cool, just change the oil don't let that temp gauge go in the wrong direction, don't race it, go 60 you gas mileage is good, 89 octane, 3000 miles change the oil, don't play with the seats too much keep the correct air pressure in the tires, You are Good to go! 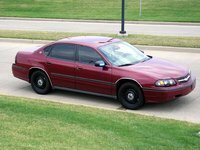 It handles great in all weather conditions, You certainly feel safe, the body style isn't like the old days but, It sits real nice, stops on a dime really nice to drive especially on Long drives. I took This car from Philly to Key West it was one of the best vacations I've ever had, actually a honeymoon but........awesome!!! 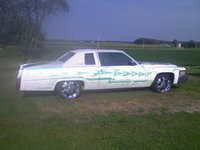 Pros: it's a beautiful car it rides nice, and fast although not a race car but sometimes you need some get up and go, no I am not trying to sell it, just a fact, great car, to a true fan of the deville it is a good car I have no cons on it it always starts up for me and it matches my tattoo! Cadillac Deville With All The Extra! — Having heated seats are nice but the air conditioned seats rock in Texas. It's your float over the railroad tracks ride that Cadillac has always delivered. These long wheelbase Cadillac's ride better then all others with the exception of a BMW 7 Series or a S-Class Mercedes. Cons: A little hard to Park sometimes. Luxury Car — the engine on this vehicle is a champ, the braking is fantastic, the handling is perfect, when you are in the vehicle and you are going 35 mph it feels like you are driving on a cloud. the interior is a creme colored leather, and is big inside of the car and the seats are very comfortable. the exterior of the vehicle is a dark gold color this is a very good car to own. Beats My Dodge Gr. Caravan, In Fact No Comparison — Just purchase a 2005 Deville with 19,998 on it in Oct 09. Love it....ride...sound levels...performance etc. all great. This is exactly what we were looking for . Will be great for our winter trip to Florida from Minneapolis in December. Caddy Divine — It runs beautifully. Power house. It doesnt have a limit on the speed it seems, the power is great. Gas mileage is great as well with about 20-23 mpg. Appearance- stunning, black exterior and tan interior, as well as heated seats and steering wheel. Also the front seats have cooled seats too. Power steering is great, though I'm not terribly a fan of it, this car is great to drive. It Was A Really Nice Car. — I drove this car in snow storms and didn't have one problem sliding on the road. The wiring is my only concern with this vehicle. Had allot of useless censors in it. It rides great and descent on gas with it having a 32 valve Northstar in it. Pros: Used it for work and joy ride. Cons: Make sure you can afford it first.